While I'd like to be at South by Southwest again this year, to be frank, I need to stay home and feed the baby. Fortunately, there are music bloggers like Greg Van Dyke looking out for people like me. For years Greg has run the excellent Captains Dead blog. He's also one of the forces behind Couch by Couchwest, an online music festival that runs the same week as SXSW. "Let's face it, we're all too broke to go to Austin, and we couldn't get out of work anyway," the site explains. 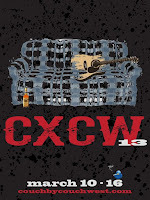 "CXCW is an annual online music festival that is for everyone." 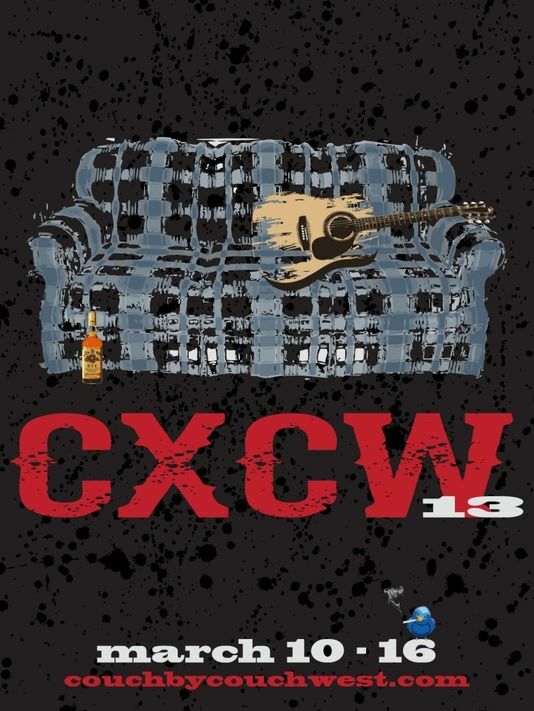 The concept: Artists record exclusive video performances for CXCW from their homes (or wherever they like). The videos are posted March 10-16 on couchbycouchwest.com. I asked Greg what we can expect from the third year of the festival, and he told me this: "Expect no crowds, badges, bracelets, lanyards, private parties, VIP rooms, empty wallets and disappointment. Only a week's worth of awesome music and the sweet comfort of your own couch." Who can argue with that? Greg adds that he's not against South by Southwest at all — he has attended more than 10 times — but "at 38, it's getting a bit much even for my music-, beer- and taco-loving self." Couch by Couchwest is also on YouTube, Twitter and Facebook. I'm looking forward to Sunday's kickoff.